Hailed by John Lennon as a masterpiece. It was the landmark cult film that began the whole Midnight Movie phenomena of the counterculture crazy 1970s. 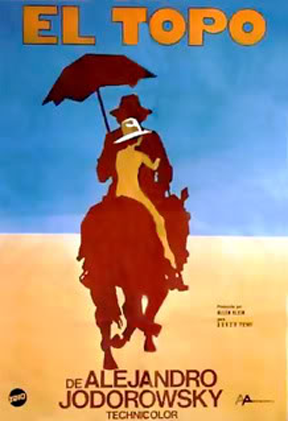 El Topo was the most talked about, most shocked about and most controversial quasi-Western head trip ever made, transforming the way risk-taking audiences, seeking mainstream Hollywood alternatives, watched edgy underground films and how the industry learned to market them. Classic Americana and avant-garde European cinema sensibilities meet Zen Buddhism and the Bible as a master gunfighter and cosmic mystic El Topo (played by writer/director Alejandro Jodorowsky) must defeat his four sharp-shooting rivals on an ever-increasingly bizarre path to allegorical self-enlightenment and surreal resurrection.